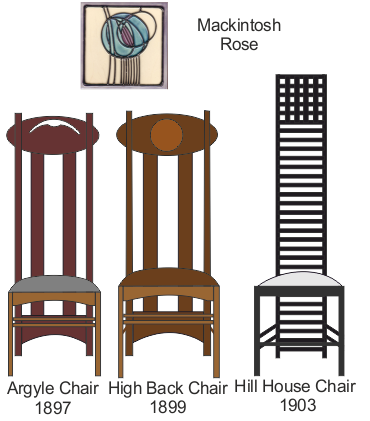 Renowned Scottish designer / architect, who contributed significantly to design in the early twentieth century. He designed inspirational buildings, such as the Glasgow School of Art (1899). He also produced floral and landscape watercolours, textile designs and interior designs. 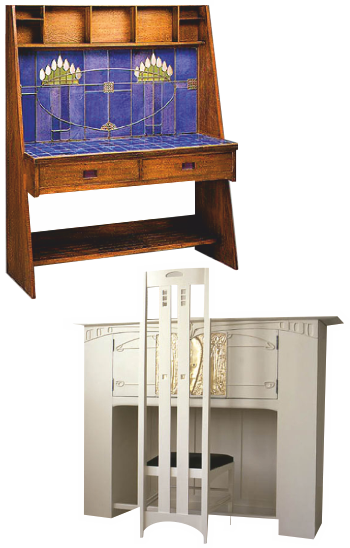 His furniture was innovative in design, at a time of change from Art Nouveau to Modernism. 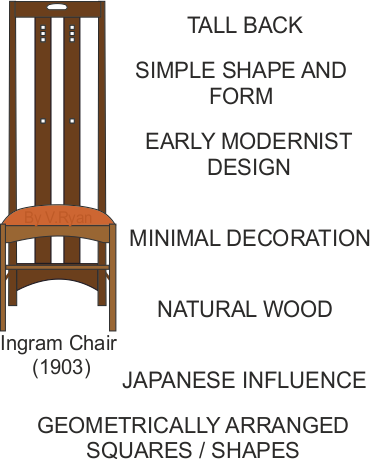 He was influenced by the Japanese style and design, recognising Japanese simplicity, style, functionality and their use of natural materials . Died in 1928 with only 6 pounds to his name. His original designs, artwork and furniture now sell for hundreds of thousands of pounds.